CNN Chief Medical Correspondent Dr. Sanjay Gupta will speak as the Student Government Horton Distinguished Speaker at 2 p.m. Oct. 18 at RIT. Tickets are still available. Tickets are available to the general public and RIT community for many of the highlights of Rochester Institute of Technology’s Brick City Homecoming & Family Weekend. 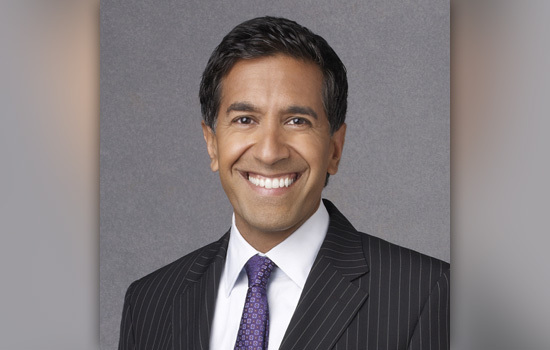 Respected neurosurgeon and Emmy-award winning CNN Chief Medical Correspondent Dr. Sanjay Gupta will speak as the Student Government Horton Distinguished Speaker at 2 p.m. Oct. 18 in RIT’s Gordon Field House and Activities Center. His presentation, titled “Medicine and the Media,” will be followed by a question-and-answer session. Tickets are $8 for RIT students and $13 for RIT faculty/staff/alumni/parents. They can be purchased in person at the Gordon Field House Box Office. Tickets for the general public are available for $20 at rittickets.com. As chief medical correspondent for CNN, Gupta reports on health and medical news and anchors the medical affairs program Sanjay Gupta, M.D. He received two Emmy awards for his reports on the earthquake in Haiti and contributed to the network’s Peabody Award-winning coverage of the oil disaster in the Gulf of Mexico and Hurricane Katrina. In addition to his work for CNN, Gupta is a member of the staff and faculty at Emory University School of Medicine. He is also the associate chief of neurosurgery at Grady Memorial Hospital and regularly performs surgery at Emory University and Grady hospitals. Tour the Gene Polisseni Center, RIT’s new home for men’s and women’s hockey. Free, guided tours of the new arena will be available throughout the weekend. Jerry Greenfield, co-founder of Ben & Jerry’s, will discuss his business philosophy during a presentation at 3 p.m. Oct. 17 in Ingle Auditorium, Student Alumni Union. The talk is a part of the Gasser Lecture Series, presented by RIT’s Saunders College of Business, and will include ice cream for the entire audience. Tickets are $5 for RIT students and $15 for RIT faculty/staff/alumni/parents/guests. They can be purchased in person at the Gordon Field House Box Office. Tickets for general public are available for $15 at rittickets.com. The Presidents’ Alumni Ball allows RIT alumni, along with classmates, family and friends, to join RIT President Bill Destler and Alumni Association President Ricardo Venegas ’92 for an evening of celebration. The reception begins at 6:30 p.m. Oct. 17 followed by dinner, dancing, Vegas-style games and photos with the Big Freeze 360-degree camera, provided by alumnus Robert Latorre ’75. Tickets are $100 per person and are available through the alumni website or by calling the Alumni Relations office at 585-475-2586. Men’s hockey hosts 2014 NCAA Frozen Four participant Boston College at 7:05 p.m. Oct. 18 at Blue Cross Arena in downtown Rochester. Tickets are $6 for RIT students, $13 for RIT faculty/staff/alumni/parents and $15 for general public. All seating at Blue Cross Arena will be reserved—no general admission. Tickets can be purchased in person at the Gordon Field House Box Office. The Brick City 5K Fun Walk and Run will take people on a last lap around campus at 10 a.m. Oct.19, starting and ending at Grace Watson Hall. Registration begins at 8:30 a.m. and is free for RIT students. Registration is $15 from Oct. 16 to 18 and $20 the day of the event. For more information and a full schedule of the weekend events, go to rit.edu/brickcity.